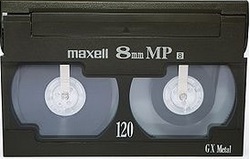 Videotapes were never meant to be a permanent form of media storage. 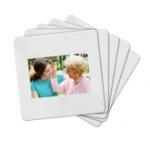 With a life expectancy of only about 20 years, you need to transfer your videotapes to DVD now. 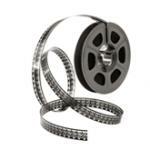 Get an estimate on conversion services for all your home movies, precious memories and video archives. Whether to DVD, external HDD or online, we will handle all your tapes with the utmost care. 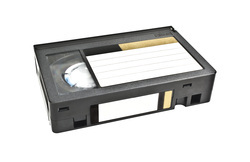 Depending on how your videotapes have been stored and handled, how often they have been played, the original quality of the tape itself and other factors, videotape lifespan may only be a maximum of 20-30 years and as little as only 8-15 years. This fact makes video to DVD conversion essential in order to ensure the preservation of the special moments and memories captured on video in your life and your family's history. 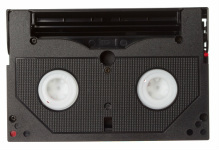 There are many different types of video cassette tapes that were in use as the media evolved through the years. It is likely your home movie collection is a mix of some or even all of these. No matter which types of videotapes you have and how many precious memories you have captured on them - soccer games, vacation trips, junior dance recitals, weddings, birthday parties, memories of loved ones and more - we can handle the conversion process seamlessly, professionally and with utmost care. 52Introduced in 1977 VHS videotapes are sized 7.4″ x 4″ x 1″ and became one of the most successful products in all of history. (VHS stands for Video Home System.) 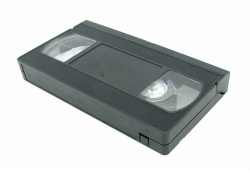 The staple of home VCRs, VHS tapes became the recording media for countless home movies in most of our lives. Unfortunately, despite its immense popularity and usefulness, VHS life expectancy was short from the start, numbering the days of the precious memories recorded on them as well. But those one-in-a-lifetime moments can still be saved for future generations, and viewed and shared once again on contemporary media. Our standard conversion service preserves your VHS tapes to high-quality Taiyo Yuden silver DVDs. To ensure an even longer life for your home movies or other videos, choose a 100 year gold archival DVD or a digital file backup for only a little more. One fact that may not be widely recognized by consumers is that while VHS and DVD formats are the same across the world, the electronic signals recorded to them and read by machines on playback differs across various various regions. The standard format in North America, for example, is known as NTSC (National Television System Committee), while the standard in Europe and other parts of the world is known as PAL (Phase Alternating Line). 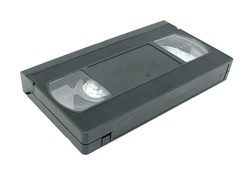 If a VHS home movie made in Eurpoe (PAL) is placed in an American VCR (NTSC) the signals cannot be read becasue the two formats are incompatible. These differences also have bearing on VHS to DVD conversion. We are equipped to handle any type of regional conversion, whether a PAL VHS tape to and NTSC DVD or any other situation, for only a small additional charge. "I can't say enough positive comments about Click Scan Share here in Saratoga! Bill, Ramona, and Lai are the BEST! They understand how precious your photos and videos are and you feel that genuine concern every time you walk in and see them. Whether you're placing a small or large order, they continually go above and beyond to make sure you're happy. I recently had many of our family videos transferred to DVDs and not only was the quality superb, but each and every DVD was labeled and cross referenced to its original matching tape. I completely trust the team here at Click Scan Share . . . They're as nice as can be, honest, knowledgeable, professional, and experienced. I highly recommend them for any of your photo needs!"